This is my first recipe attempt from Chloe’s Kitchen. 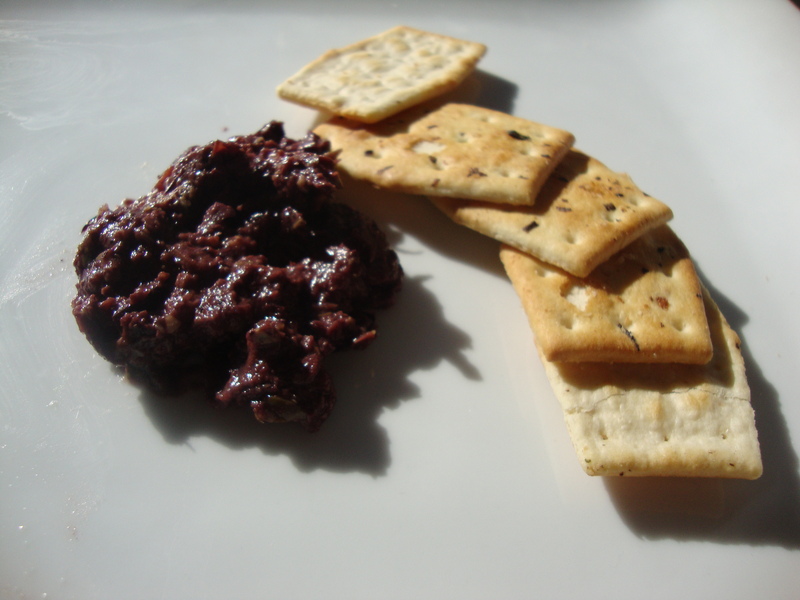 I found that the tapenade the first time around was extremely strong, so I reduced the original amount of caper from 1 TBS to 2 tsp, and lemon juice from 2 tsp to 1 tsp. Adjust to your own tastes! Pulse all ingredients in a food processor or blender until spreadable. Serve with bread or crackers.